This week we look at the Aidan O'Brien-trained colt who won in Group 1 company less than a month after he made his debut. Form: 121. Trainer: Aidan O’Brien. Aidan O’Brien had a challenging time last year with a soggy spring at Ballydoyle followed by a virus that affected all his horses. It did not stop the trainer enjoying seven successes in the QIPCO British Champions Series but he had enjoyed 13 the previous year, and ten the year before that. O’Brien’s juveniles were among those to suffer and it was not until the final day of September that we saw Magna Grecia in action. Under a month later, he had squeezed in three quick runs, won in Group 1 company and established himself as a Classic contender. A handsome son of Invincible Spirit, out of Galileo mare Cabaret, Magna Grecia went off 2/1 favourite for a 12-runner maiden at Naas on his debut and, never far away, quickened up smartly to thump two more debutants in Mudlahhim and Tranchee. The placed horses were put away for the season but Magna Grecia was in action only 13 days later when contesting the Group 3 Masar Godolphin Autumn Stakes over a mile. He and Persian Moon, the unbeaten French raider, dominated the betting and the race itself – pulling clear of their six rivals in an exciting tussle. The more experienced Persian Moon prevailed by a neck but Magna Grecia emerged with his reputation enhanced. Just a fortnight later, Magna Grecia went off 2/1 favourite for the 11-runner Vertem Futurity Trophy Stakes at Doncaster. The Group 1 contest produced a blanket finish, with little more than a length separating the first five home. Magna Grecia knuckled down well to win by a head from a solid yardstick in Phoenix Of Spain, with two more O’Brien inmates – Western Australia and Circus Maximums – the next pair home. A good sort physically, Magna Grecia appeals as the type to continue to flourish this year. 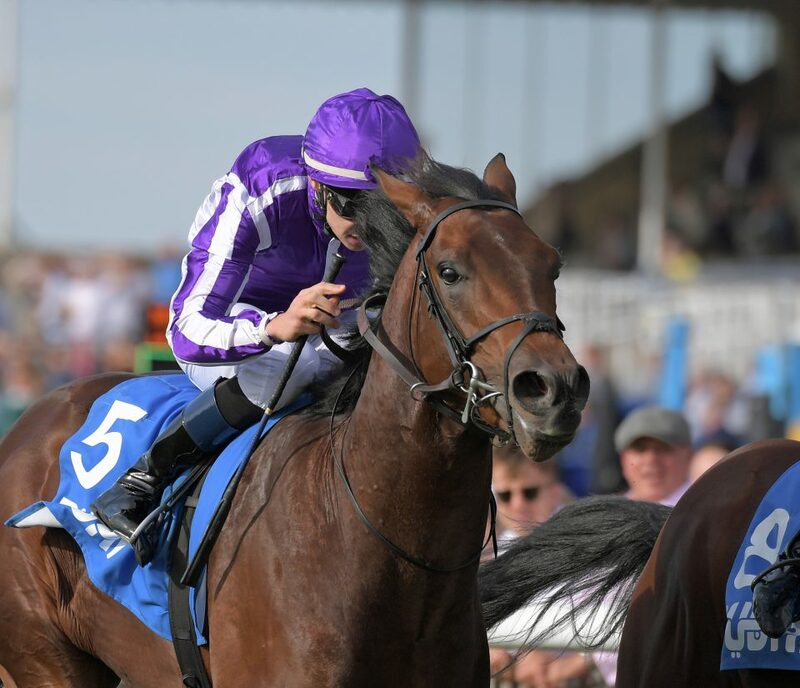 He is a general 14/1 for the QIPCO 2000 Guineas at Newmarket on May 4 but bookmakers cannot agree on his Investec Derby prospects, quoting him at between 12/1 and 33/1. His sire’s stock generally fare best at up to a mile, so stamina could be a stumbling block for him if he lines up at Epsom.